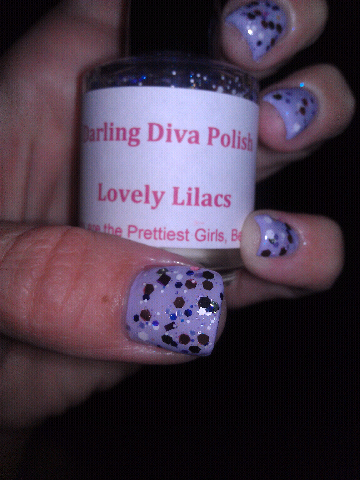 Here are a few pics of Darling Diva Polish color Lovely Lilacs. 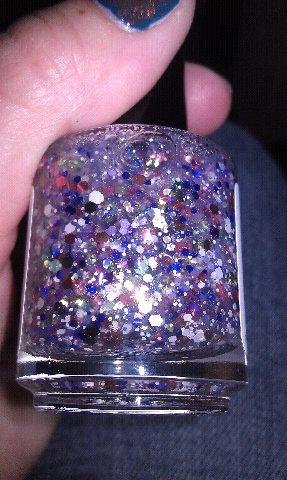 It's great as a top coat over any light green or light purple colors. 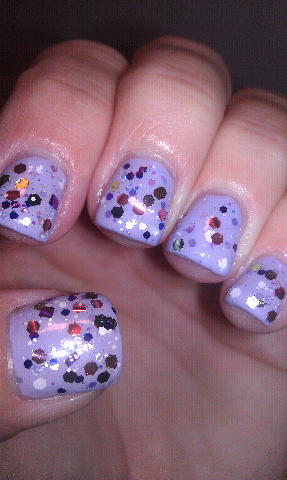 I have mine over Essie Lilacism. 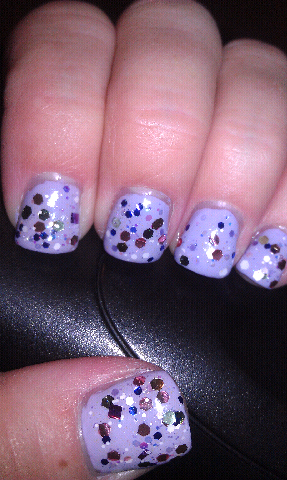 Lovely Lilacs applied well but needs 3 coats to achieve the look in the pictures. It dried fast and was easy to work with. 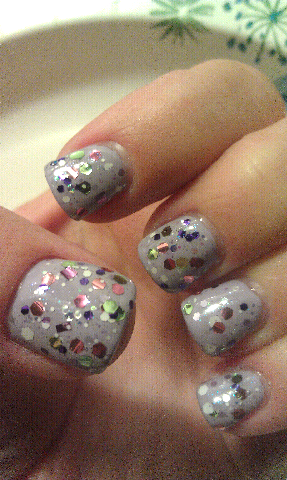 No fishing required to get good amount of glitter. My square glitters are curling a little on the ends but I personally don't have a problem with this at all. I think it makes it look better. 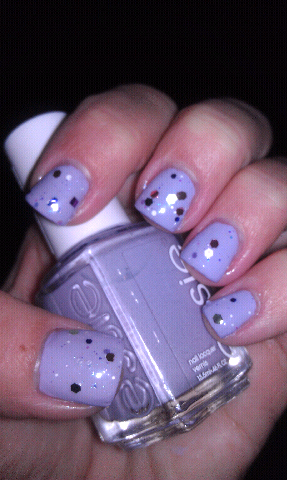 Pictured below is 3 coats of Lovely Lilacs, 3 coats Essie Lilacism, 1 coat Seche Vite top coat. 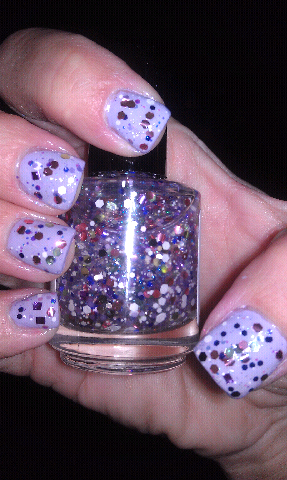 All of the pics with 3 coats of each polish have 1 coat of Seche Vite top coat. When I make the pictures extra large, they become a little fuzzy. I will try to figure out how I can get large pictures to look super clear. 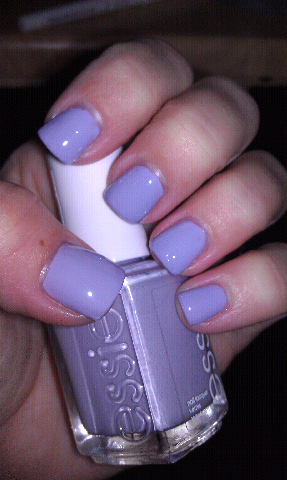 As a side note here, Essie Lilacism was a real pain in the rear to apply. It was so thick that I added almost 20 drops of thinner with little change in consistency, boo :(! Check out my previous post from earlier today. It features a franken that's in the works and being tested for bleeding glitter.